If you ask our driver, J.M., "What is the weather going to be?" he answers "The weather is the weather." And quite the weather it has been today! We awoke to heavy rain again this morning. 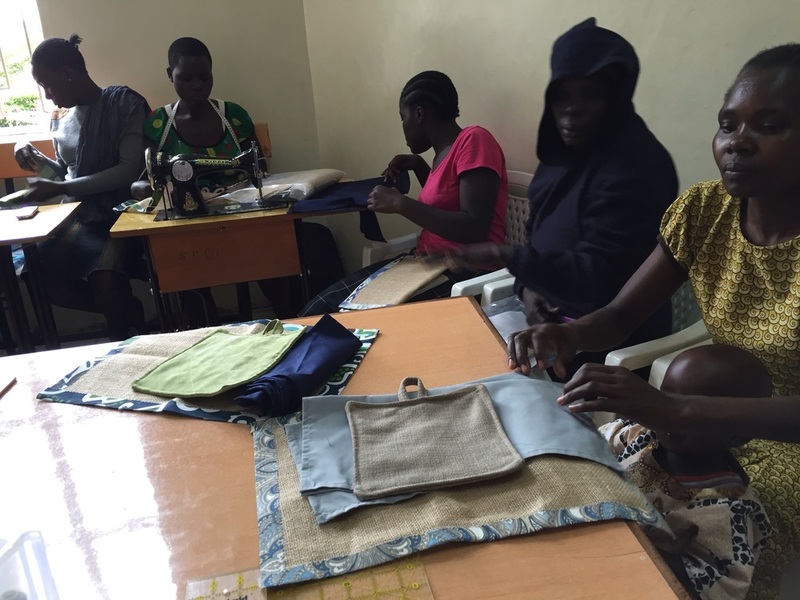 However, the rain stopped as we headed off to work with the ladies at Sew4Life. We spent the day helping the ladies complete their project. They learned how to make a quilted potholder and cloth napkins. Several also finished the placemats they started last Friday. These ladies picked up on things they were being taught and were soon making things without our help. We pray that they all will love God and follow Christ. The women had to journey longer today to get to the sewing center because the main bridge to Kibera slum had washed out. But every lady that was there on Friday returned - in spite of the difficult route. At the end of the day we provided them with a bag of food that will feed their families for several weeks. They were so grateful and sweet as we prepared to leave. They prayed for our safe return. We said "until we meet again" instead of goodbye - that is too hard to say! As we were driving to dinner the clouds became darker and darker. As we pulled up to the restaurant the skies opened and the rain poured down. As the storm came in we watched the trees bending in the wind and rain, thankful for being in a dry, warm building. We know that this country needs the rain; however, too much rain in a short period of time can be a bad thing. But "the weather is the weather" so we will see what tomorrow brings! Older PostPeru: The day has finally come!